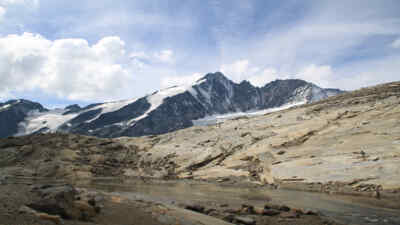 This one-of-a-kind alpine panoramic trail high above the impressive glacier scenery of the Pasterze with breaking ice, moraine and glacier tongue can be comfortably covered within 30 minutes. 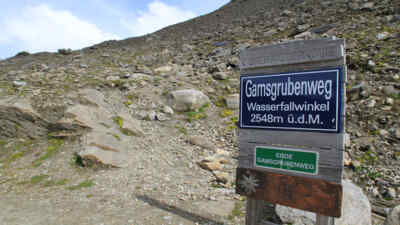 Only trained mountaineers might choose to go on through high alpine territory across the glacier (southern Bockkaar ice stream) to the Oberwalderhütte or up to the Fuscherkarkopf. We start the enjoyable walking tour along the Gamsgrube Trail at the large entrance (Visitors’ Centre) of the Kaiser-Franz Josefs-Höhe overlook (1) before delving into the ‘Treasure Tunnel’ and its world of myths and legends. You will learn of mining, gold, quartz and water, and hear the Myth of the Pasterze Glacier along the way. 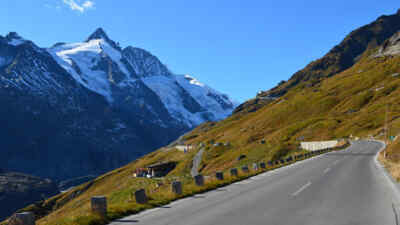 After the sixth tunnel, we step out into the open, perhaps dazzled for an instant by the ligh reflecting from the Grossglockner massif’s ice, before continuing on the informative nature trail. National Park information boards help to expand our knowledge along the way, always revealing something surprising. The experience opens up an incredible world of adventure and freedom, during which you are kindly asked to stay on the trail (caution: Alpine footpath, use at own risk). 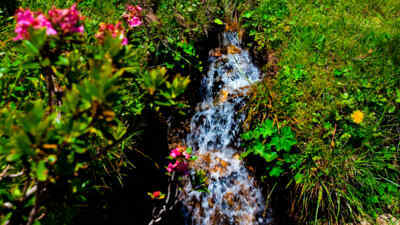 The Wasserfallwinkel (2) lookout spot is hailed as Austria’s ‘most beautiful snack stop’. More information about this trail here.